No Doubt has won one of the battles in its ongoing war with Activision over use of the band's likeness in Band Hero. 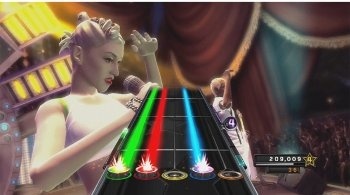 No Doubt originally filed its lawsuit against Activision in November of 2009, when their likeness appeared in Band Hero far more often than the original contract stated. Instead of appearing in only three No Doubt songs, the members of the band could be unlocked and used as avatars for any of game's 62 songs, turning the band into what they deemed a "virtual karoake circus act." Activision countered No Doubt's bold move by filing its own lawsuit against No Doubt, claiming that the band hadn't promoted the game like they agreed to and that the band simply didn't understand how avatars were used in the Hero series. It seemed as if both parties were at a bullheaded standstill, but this week, No Doubt declared victory in one battle of this war. On March 15th, a Los Angeles County Superior Court Judge rejected Activision's attempts to revoke the lawsuit by invoking the 1st amendment, stating that freedom-of-speech should protect its rights to use the band as avatars. The court also rejected Activision's attempt to shift the matter to a federal court, in a claim that the lawsuit was a copyright issue and not a right-of-publicity issue. Of course, the publisher can move to appeal these rulings, and according to an Activision spokesperson, it plans to.